If you like creating with alcohol inks as much as I do then you are in the right place! 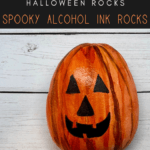 In this Halloween Rock Painting alcohol inks edition, you will find some fun beginner-friendly rock craft ideas to create. Put on your gloves before painting with alcohol inks. It will stain your skin. 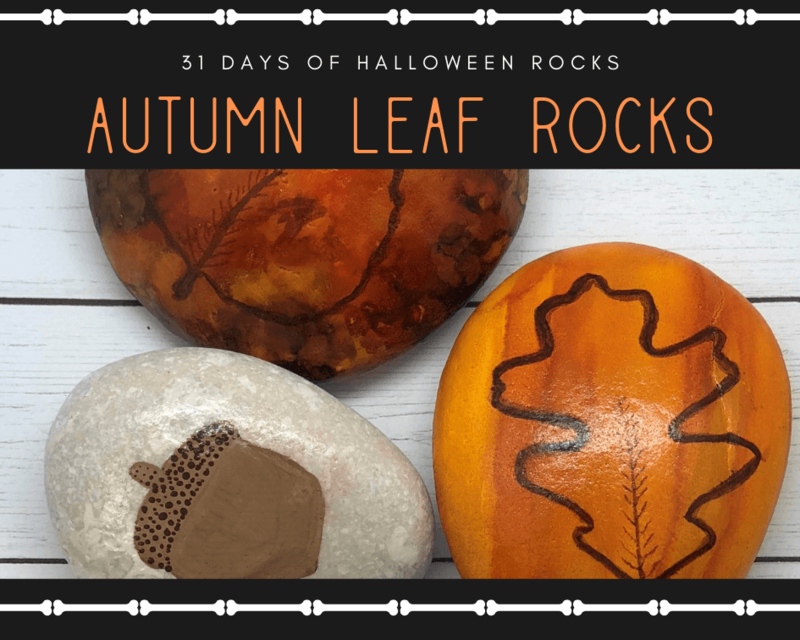 Using a paintbrush, paint on orange alcohol ink over your rock. 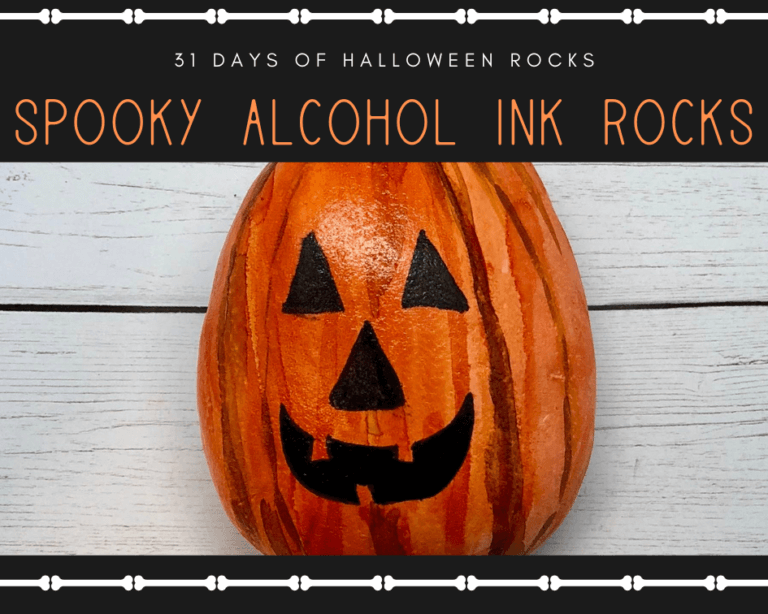 You can use brown alcohol ink to paint lines. Then dip your brush in blending solution or rubbing alcohol and go over your brown lines to lighten. 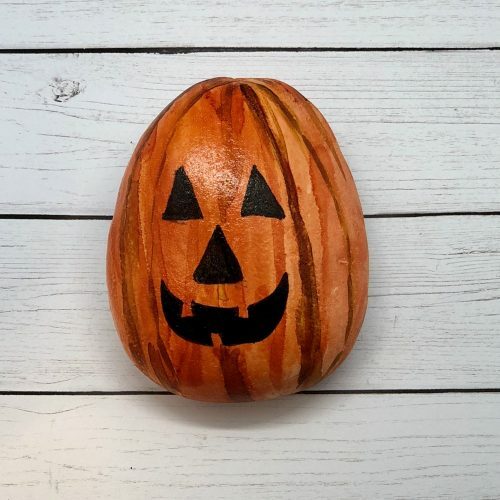 Use a black paint to make your jack o’ lantern face. 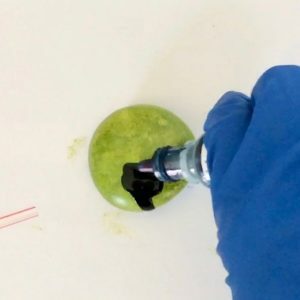 Using a foam pouncer to dab bright green alcohol ink on your rock monster. 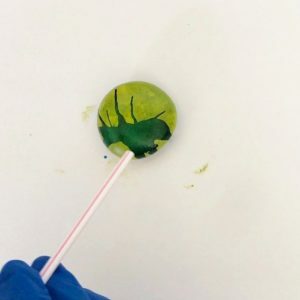 Drip blue alcohol ink on the bottom of your rock and use a straw to blow the ink upward creating a spreading effect. Continue this step until you are happy with the outcome. 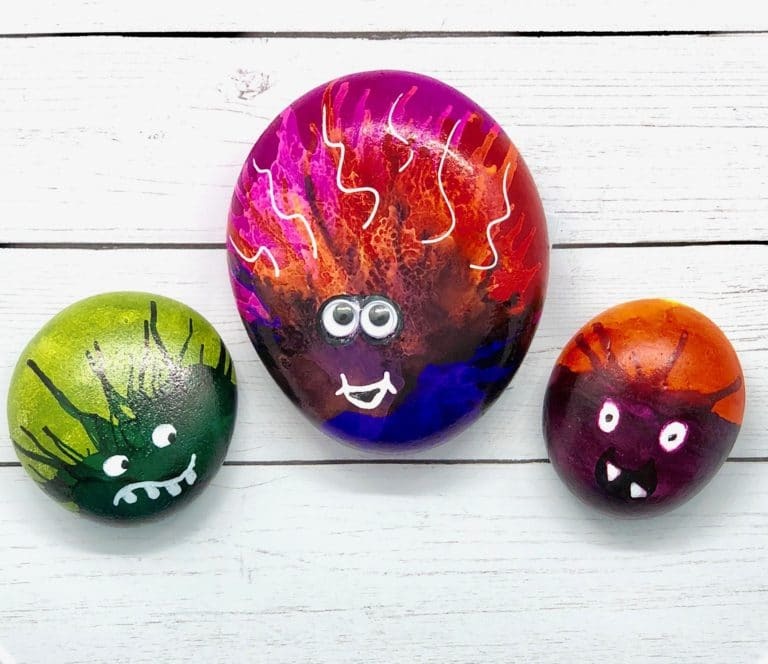 Let your monster rocks dry before white craft paint or paint pen to make the face. 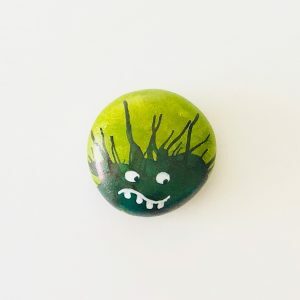 FYI, the alcohol ink may bleed through the white craft paint so 2 or more coats may be needed. 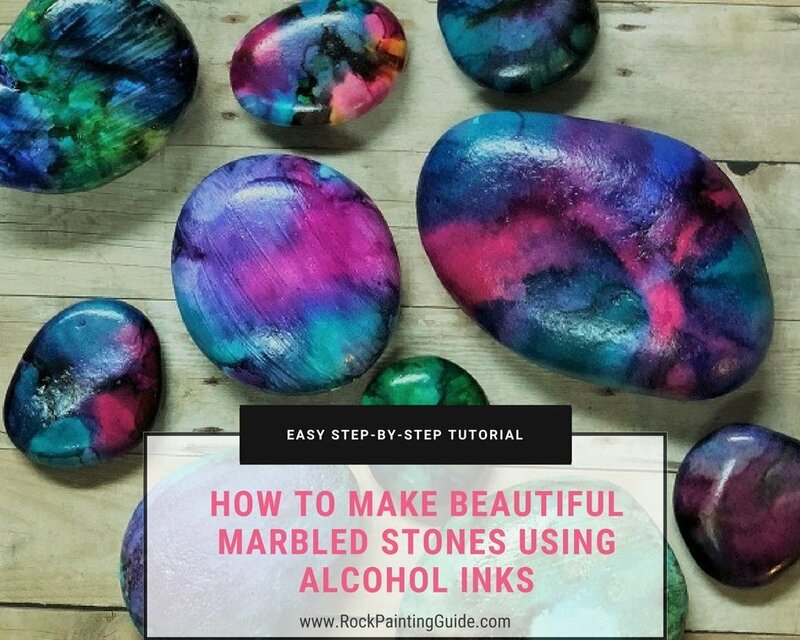 For more Alcohol Inks Rock Crafts, check these out! 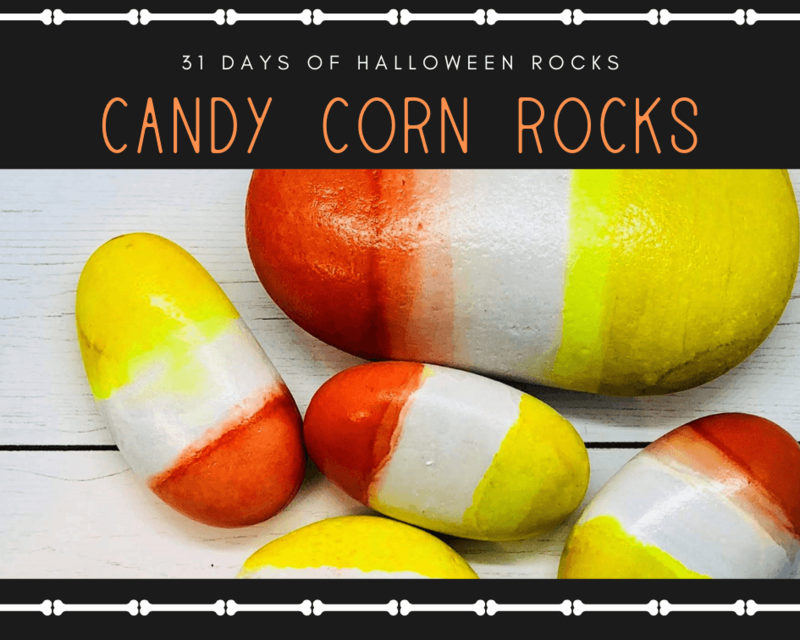 Have you made your own Halloween Rocks with Alcohol Inks?